Excellent protection of equipment and materials inside the flow hood from particulate contamination. 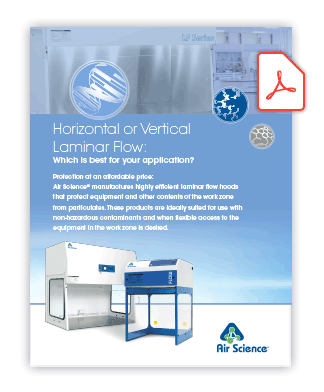 Rich set of options to customize flow hoods for a multitude of applications. Select one of our fume hood lines above to learn more, or contact us today for a customized quote based on your application. Clean benches are an essential tool in most clinical, medical research, industrial processing and forensic science laboratories. Learn more about what they are, where and how they are used, and how to choose the right one for your application.